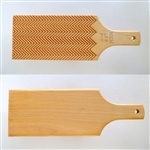 GP : Glaze Paddles : 17.3 inches x 3"
The large and small paddles offer one or two sided texture patterns. 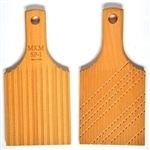 The one sided paddles are smooth on one side and textured on the other. 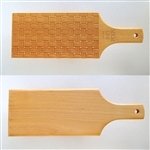 The two sided texture paddles have a different pattern on each side. The glaze paddle is smooth on both sides.